Aside from this year's San Diego Comic-Con, mostly what we've seen of anticipated superhero sequel Wonder Woman 1984 has come from director Patty Jenkins' Twitter feed. 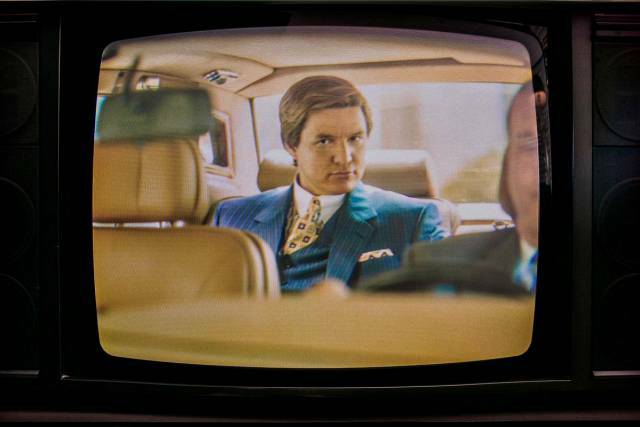 She's back with a new image that features Pedro Pascal in a none-more-'80s power suit, which you can see above. No information has been released about who Pascal is playing, but that tie alone screams "wrong 'un!" We'll have to wait and see who he turns out to be. Gal Gadot is definitely back as Diana Prince, this time battling evil (Kristen Wiig will cause trouble for her as archaeologist Barbara Minerva, who becomes the villain known as Cheetah) and we'll also see Chris Pine's Steve Trevor, who is mysteriously back despite kicking the bucket in explosive style at the end of the first film.